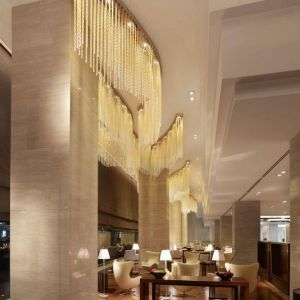 The 5-star JW Marriott is located in the new West Hanoi central business district, adjacent to the National Convention Center. 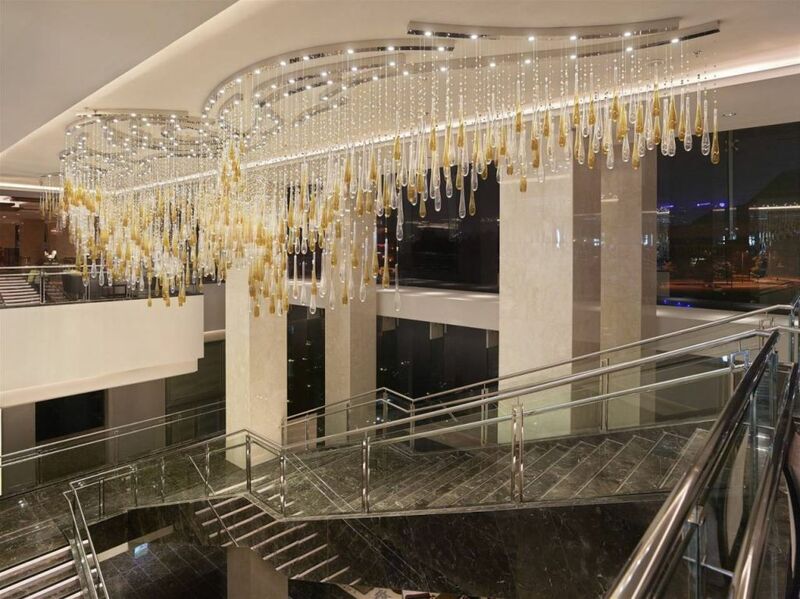 2 ballrooms and extensive foyer areas, covering 3,600 square meters. 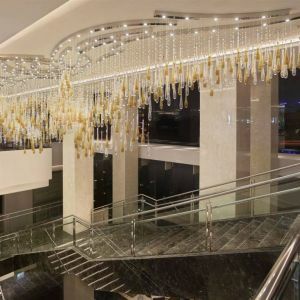 The Grand and Junior Ballrooms at ground level are decorated with PRECIOSA crystal-trimmed chandeliers, in colors that can change depending on the desired atmosphere. 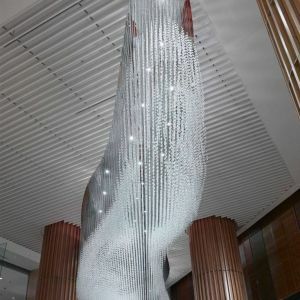 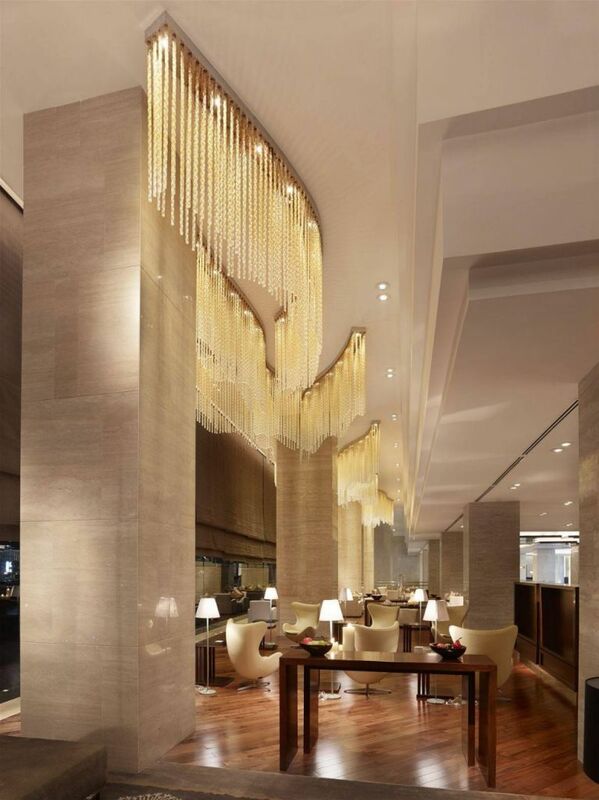 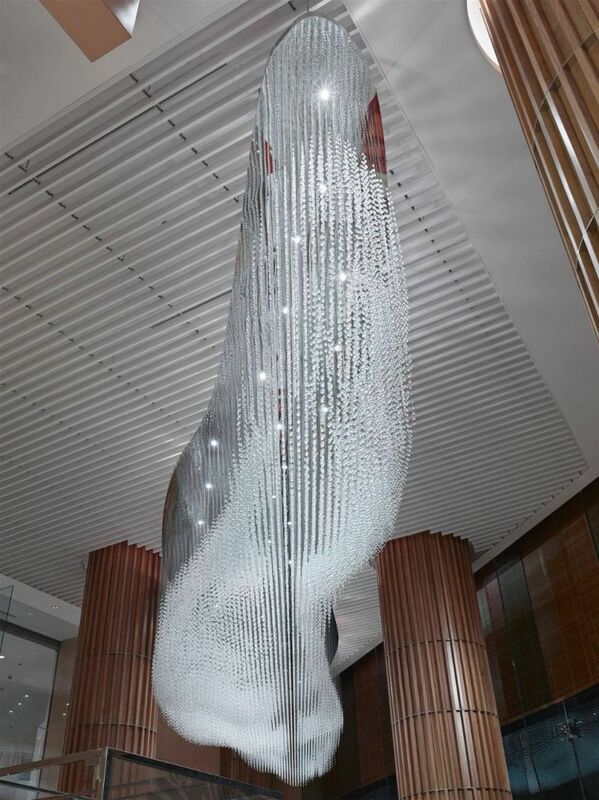 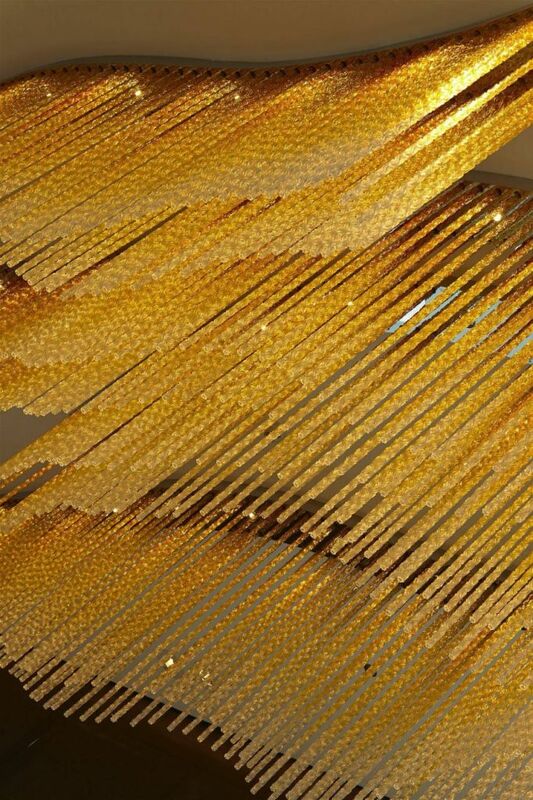 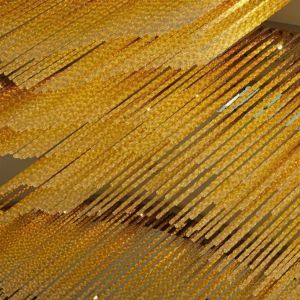 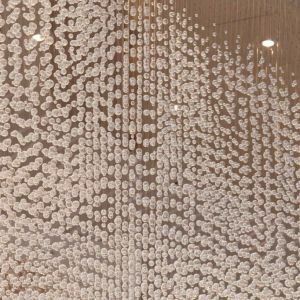 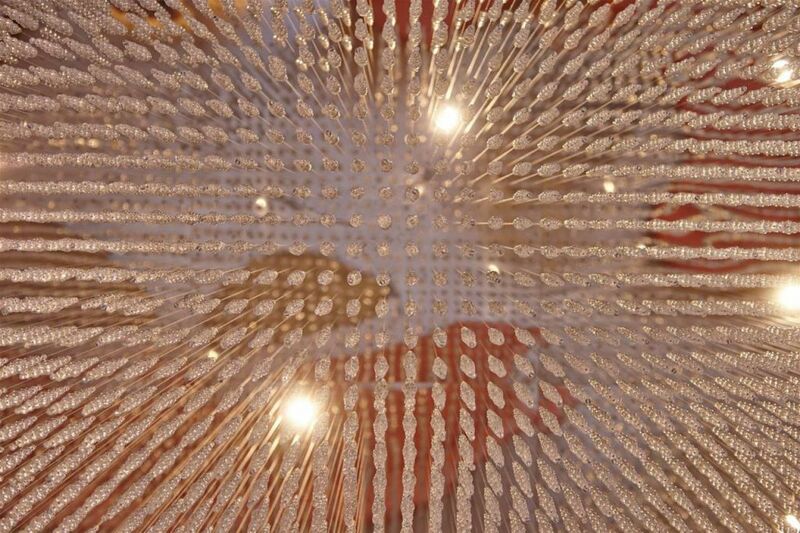 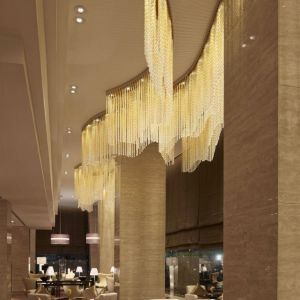 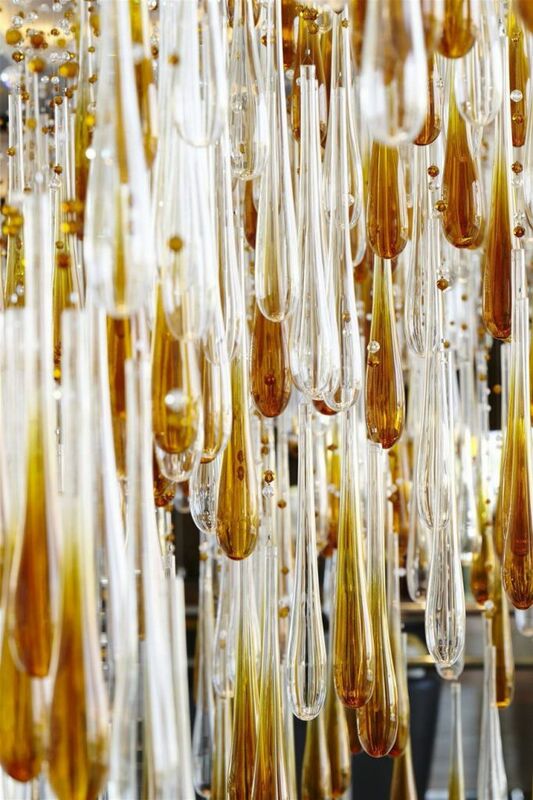 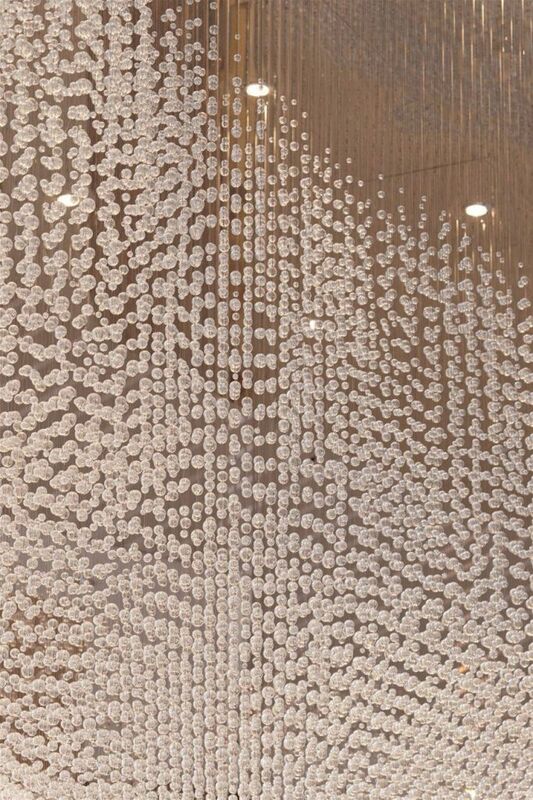 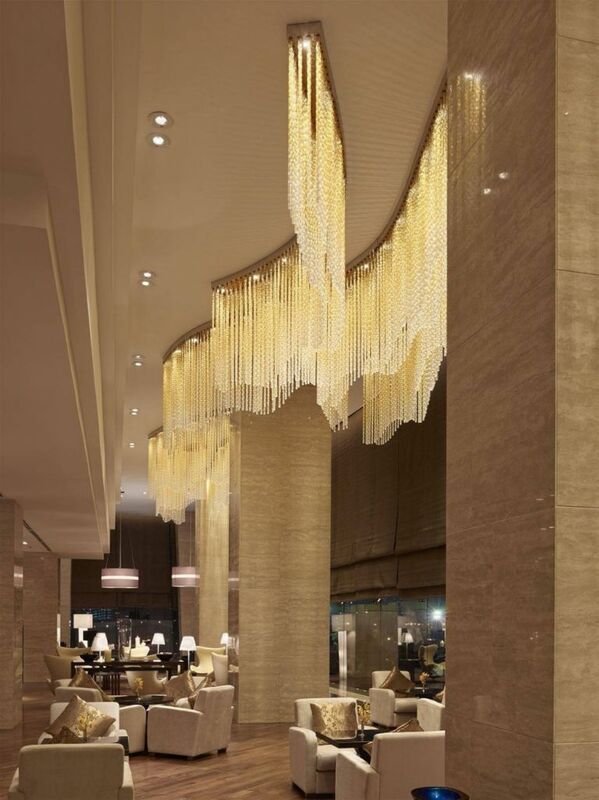 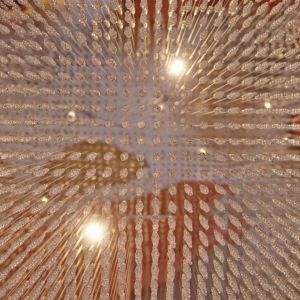 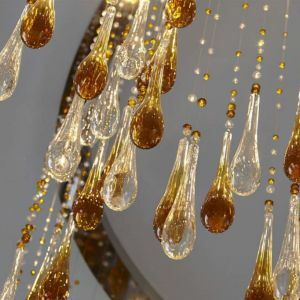 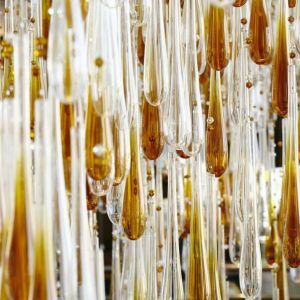 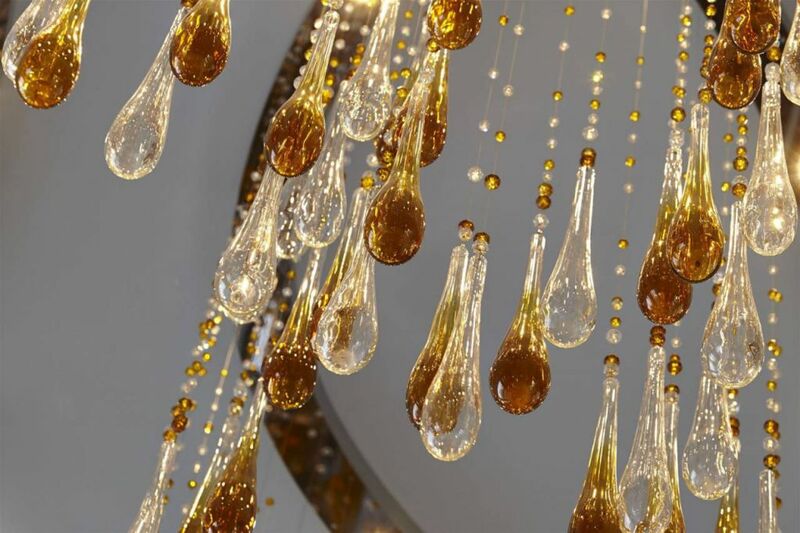 PRECIOSA lighting pieces, produced in cooperation with Hong Kong based design partners Peter Silling & Associates, enrich the hotel’s lift lobby, main lobby, staircase, and lobby lounge with hand-blown crystal pieces graduating from clear to light to dark amber.